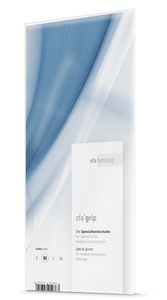 Special gloves from Ofa Bamberg provide a secure grip and protect the knitted fabric. It is best to put on your compression stockings the moment you get up in the morning while your legs are free from any swelling. 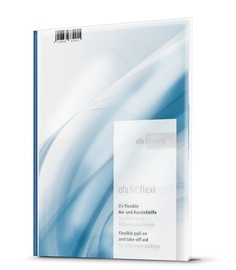 Clean your Ofa Fit Flexi now and then with a damp cloth. Do not wash in water that is too hot as the smooth surface areas might be damaged.